Play with style and elegance with this slim fit squash top equipped with the Climacool technology. 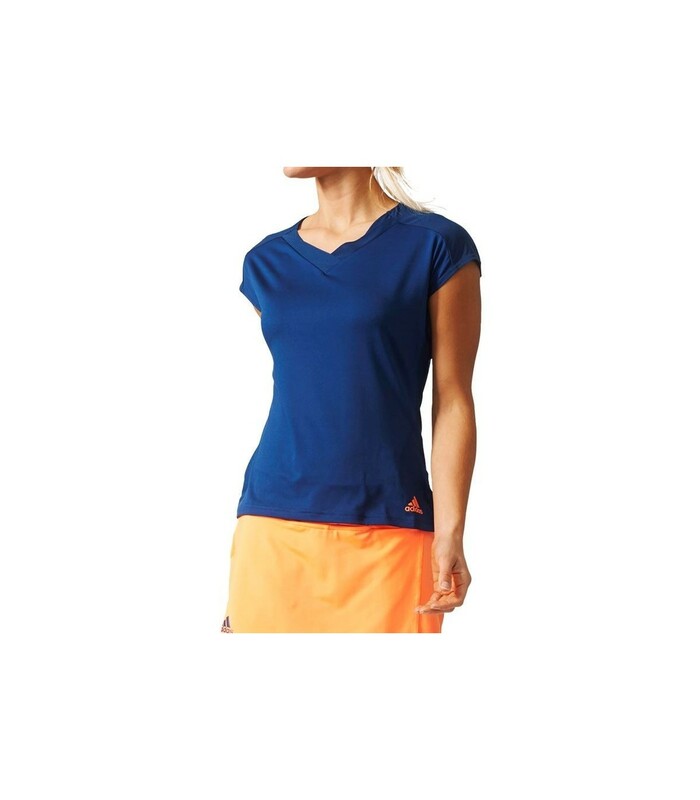 You will appreciate the breathable properties of the Adidas Melbourne Tee squash top. Thanks to its Climacool technology, you will enjoy a unique comfort. This squash top offers you a perfect ventilation of your body, keeping it dry and cool, by evacuating quickly your perspiration. 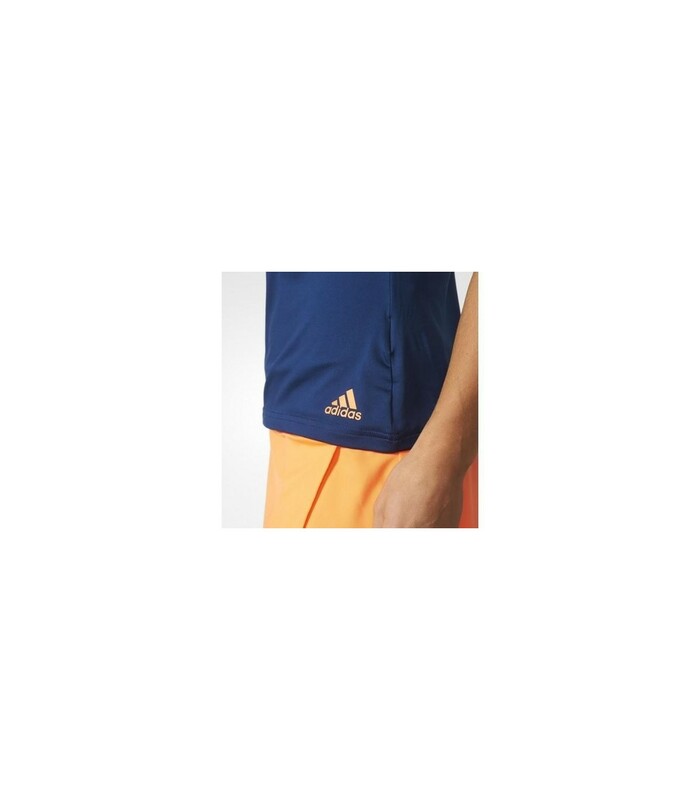 With its polyester material, the Adidas Melbourne Tee squash top is very pleasant to wear. It offers you a large movement amplitude, allowing you to play comfortably. 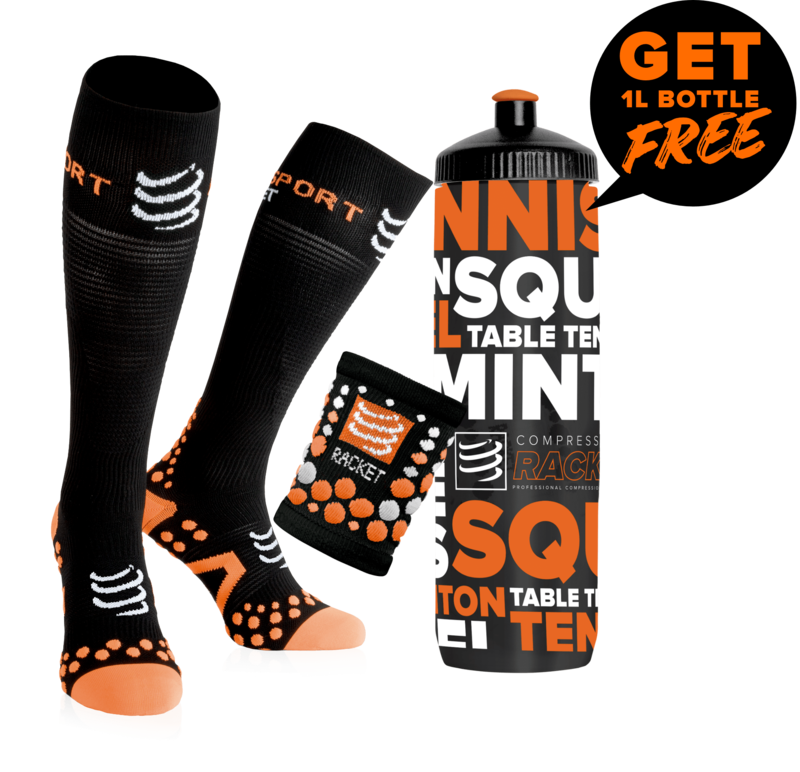 Its V-neck, its blue color and its orange logo bring elegance to the squash court. 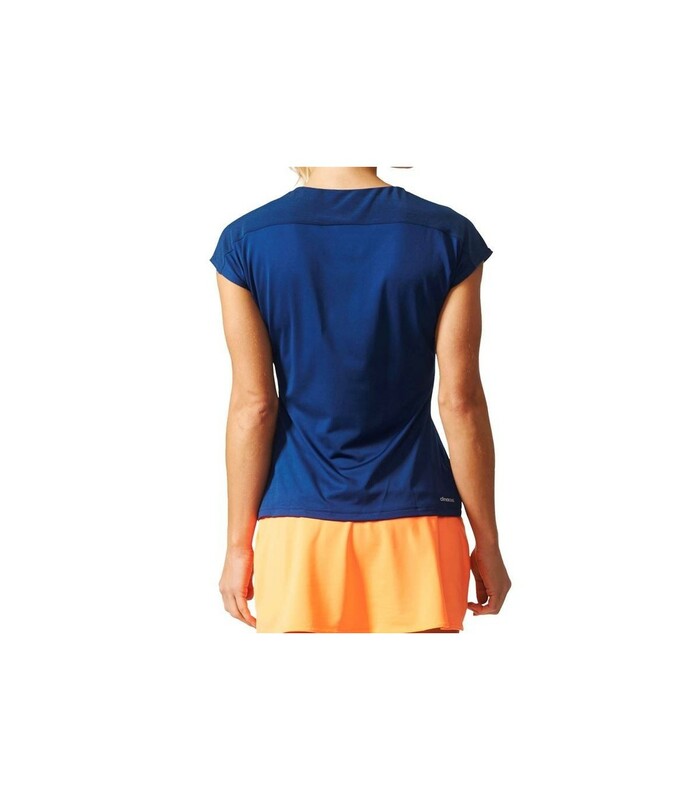 The small orange touch of this squash top gives you a dynamic look. 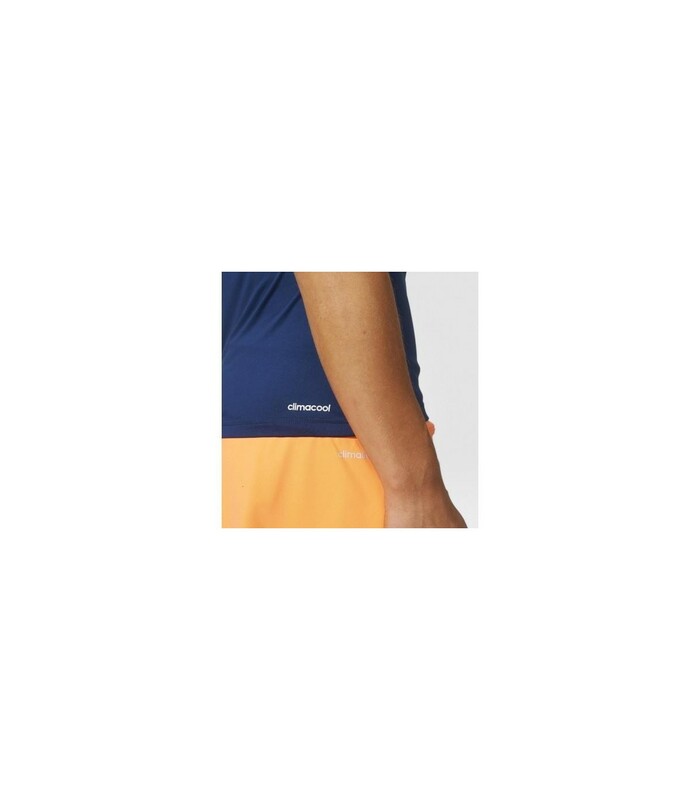 If you're looking for a comfortable, high quality, comfortable squash top at an affordable price, the Adidas Melbourne Tee squash top is a great choice.